What’s Crossfit? Here’s what you need to know about the strength and conditioning program that will get you fit fast. CrossFt is a training and conditioning program that uses constantly varied, functional movements (body weight and natural movements we need everyday to live) performed at high intensities. It’s sometimes referred to as “the sport of fitness.” I like to say CrossFitters train to be jocks of all trades, masters of none. Because the number of CrossFit potential workouts are endless, you rarely repeat a WOD (workout of the day) so that your muscles are constantly challenged to perform new tasks and combinations so that you see significant gains in strength, aerobic and anaerobic conditioning. We use three core exercise modalities in CrossFit: Aerobic exercise (running, rowing, cycling and jump rope); Gymnastics and Weightlifting. We use these modalities and their respective exercises in infinite ways for our daily workouts of the day or WODs. A WOD may combine any number of these modalities to create myriad fun and challenging workouts. For example, a WOD may be something like 800 M run followed by 22 pullups, 22 deadlifts, 22 thrusters (repeated twice) then end with 800 M run. Another WOD may be 2 X 1 mile run for time with 3 minutes rest between mile efforts. CrossFit has the reputation of causing injuries but the sport is safe and if you follow the guidelines of mechanics, consistency then focus on speed, you should not get injured. It’s when people get ultra competitive and try to lift heavy weights too fast for their ability that puts them at risk. No. Crossfit isn’t a cult, but Crossfitters do hang out together, wear the same cheesy T-shirts, try the same diets and sometimes date or marry each other, but it’s not like a sect, religion or fitness faction. It’s best described as a way of life. Do I have to eat a Paleo diet? No. CrossFit actually promotes a diet that is higher in protein and healthy fats and is lower in carbohydrates than the current typical American diet, but you don’t need to eat like a caveman. Many affiliate gyms run Paleo diet challenges but it’s not necessary to participate. Yes. 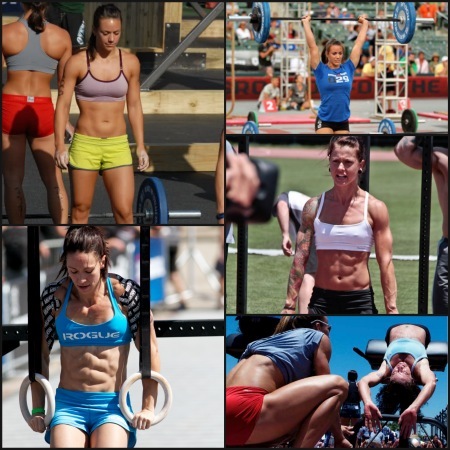 There are local, regional and national and world CrossFit competitions. The CrossFit Games are held once a year with the world’s best Crossfitters. While I’ll never make it to that level to compete at the Games, there are certainly local and regional events that the average Crossfitter can enter for an additional challenge. Will CrossFit make me fitter and healthier? From what I’ve seen first-hand, if you consistently go to Crossfit (ie, 3 or more times per week), you’ll see a dramatic improvement in your strength and conditioning and your ability to sprint. Many people lose significant amounts of weight while others are noticeably leaner. The high intensity functional fitness you gain will help improve markers for overall health and wellness including blood pressure, blood sugar and cholesterol levels. To find your local affiliate, use the finder map.